As for the quad, this must be one of the lightest quads I have ever had. The flavours have a way of just melting away into your mouth without oppressing you too much on the way. It should be noted that there is still a significant amount of body and flavour, just compared to other quads, it seems a little light (which is actually a good thing). The bottle says there is a "clean dryness" that I suppose is what I am trying to get at. 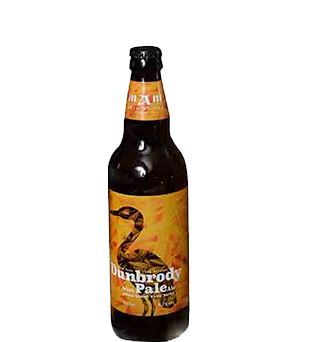 There are light hints of dried fruits and a sweet maltiness. Also, as this beer warms up, it seems to get a little smoother and more drinkable. Quite a surprise. 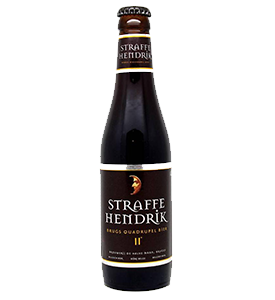 This beer pours a clear, dark red-brick brown colour, with two chubby fingers of puffy, finely foamy, and somewhat fizzy beige head, which leaves a bit of thickly sudsy forest canopy lace around the glass as it very slowly sinks away. 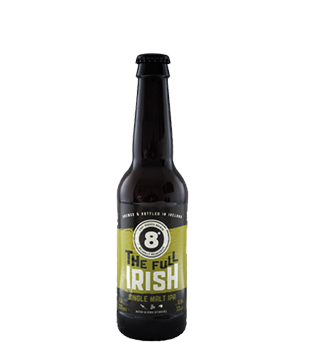 It smells of bready and doughy caramel malt, bittersweet cocoa powder, some mixed dark fruitiness (raisins, dried cherries, and bruised apples), an ephemeral yeastiness, a sort of sweet nuttiness, and very subtle leafy and mildly perfumed floral hop bitters. 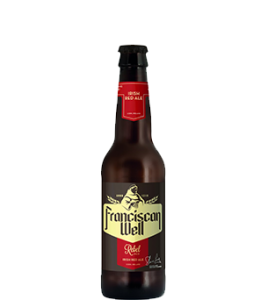 The taste is gritty and grainy caramel malt, a twinge of biscuity toffee, besotted black orchard fruit (essentially the same from the aroma), dead-seeming yeast, an oily bar-top nutty character, brown sugar syrup, and more plain herbal and estery floral hoppiness. 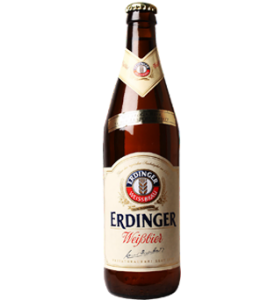 The bubbles are pretty low-key in their workaday frothiness, the body a decent medium weight, and generally smooth, just a hint of yeast and alcohol ingress keeping this from obtaining top marks, as such. 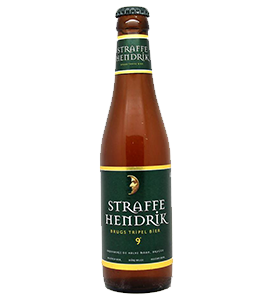 It finishes off-dry, but in a duly moderated sense - malt, yeast, fruity, florals, and alcohol, all playing nicely together. 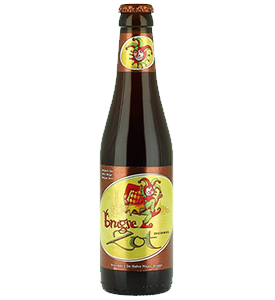 Overall, Brugse Zot Dubbel (say that 10 times fast!) comes across as a version of the style that has been made this way forever, and they ain't gonna be changing it anytime soon. Well-constructed, if not particularly complex, but that's ok, it just renders it all that much more easy to quaff, brain duly turned off. 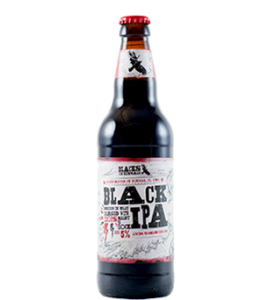 Appearance - pours almost the darkest of dark blacks with a small half finger of tam head on top. Good head retention and the colour eradicates light. Small cap of tan foam lingers for a good duration on top. 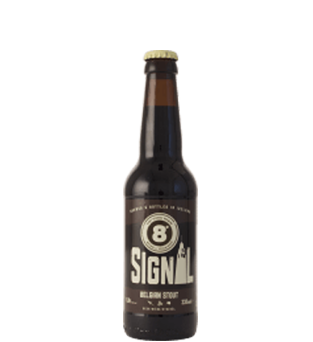 Smell - dark chocolate and some surprisingly cherry aroma too to add some complexity. 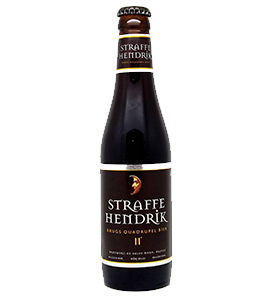 Some mild earthiness with just a hint of vanilla and coffee on the nose, but sweetish on the nose with dark chocolate and cherry being the stars. Taste - loads of dark chocolate, a prevalent but restrained bitterness. Some mild sweetness with a brief cherry intermission before a fine coffee ground flavour shines through as well. Complex with multiple levels of flavour there's even a coffee, vanilla and caramel troika to close. Yum. Enough other flavours to make me think this is an American stout as opposed to a Russian imperial stout. 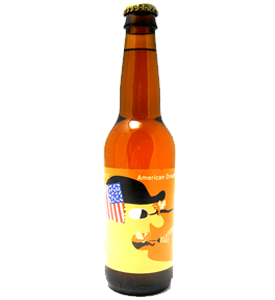 Mouthfeel - smooth with a heavy but slick body, creamy feel and adequate carbonation. Just right for the style. 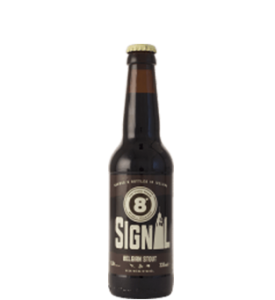 Overall - while Brooklyn's Dark Chocolate stout is not quite the pinnacle of the style, it is a delicious, flavourful stout loaded with dark chocolate and cherries that is certainly worth any beer advocates time. Highly recommended for this top notch brew. 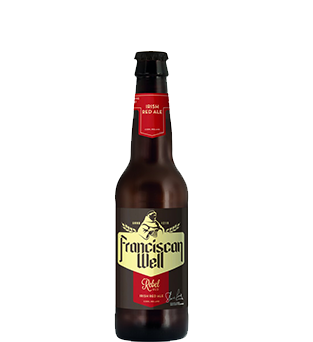 Poured from the bottle into a pint glass, this brew's head is three fingers thick and tawny, with webbed lacing, and a slightly murky brownish copper body. I smell plenty of bread, or dare I say sourdough, malts alongside a slightly apple-y and copper scent near the end. Which I'll assume is accredited to the historical use of copper pipes at this brewery. Tastes like pretty much the same components. Nothing bad, yet nothing outstanding either. Kinda just "meh". 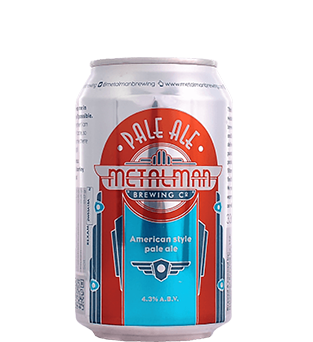 The mouthfeel is medium light with mild carbonation. A clean and refreshing finish that I could see myself appreciating a lot more in the summer months. 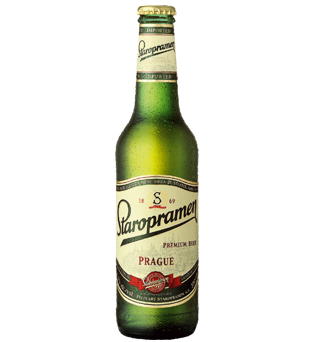 Pours a murky honey orange with a foamy bone head that settles to a partial film on top of the beer. A foamy lattice of lace coats the glass on the drink down. Smell is of malt, earth, pine needle, and citrus zest aromas. 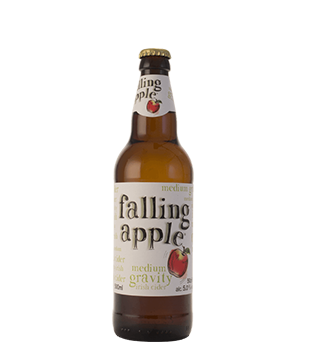 Taste is much the same with citrus zest, earth, and floral flavours on the finish. There is a mild amount of hop and earth bitterness on the palate with each sip. This beer has a lower level of carbonation with a slightly crisp mouthfeel. 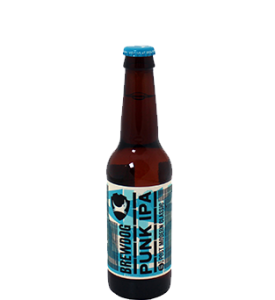 THIS IPA HAS A CARAMEL MALT BASE, SUPPORTING A FULL FRONTAL CITRUS OVERLOAD - GRAPEFRUIT PEEL PILED ON TOP OF INTENSE US AROMA HOPS. WAVES OF CRASHING PINE, ORANGE AND GRAPEFRUIT ROUND OUT THIS CITRUS INFUSED IPA. 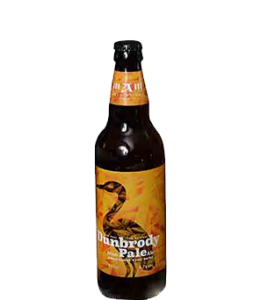 Sold as Dunbrody Red. The color of the beer is a nice light ruby red, with some hints of brown. The beer pours a little layer of rough brownish white foam. The bulk of the foam collapses quickly. The beer has a little cloudiness. The smell is a little mild.There are some mild aromas of strawberry and some malty tones. There is a little roasty touch to it. The smell is rather simple. It could have had a little more depth. The taste is a little better. It has the same flavor of strawberry. There is also some roasted barley in it. This is a good balans to the sweet fruitiness. The beer misses a little kick. The flavors and aromas could have been a bit stronger. There is a delicious citrusy hop touch to it though. The palate is normal. All in all, not a bad beer. Pours a hazy, copper orange colour. 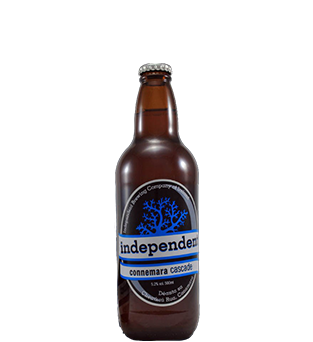 Aromas of baked apricot and wild honey lead to zingy tropical fruit on the palate with malt and herbal hops at the finish. 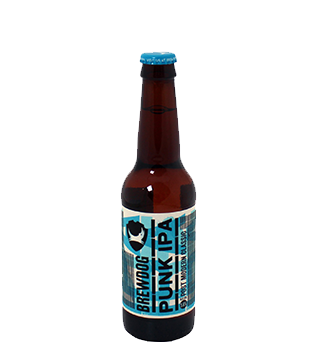 A fresh, fruity and gentle introduction to IPA. 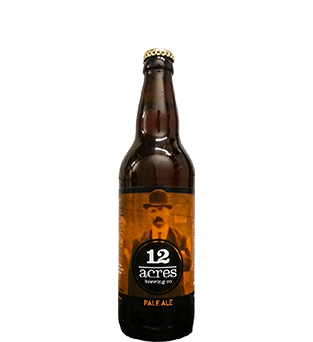 So what is different about 12 Acres Brewing Company? 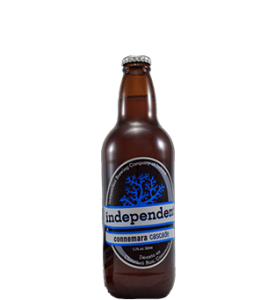 Well… by brewing with our own malted barley and spring water from deep beneath the same land, we are producing unique craft Irish beers which are traceable from our ground to your glass. 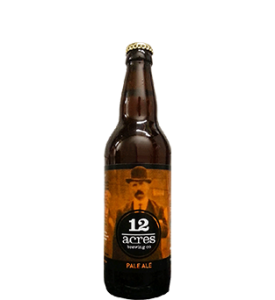 12 Acres Pale Ale is a delicious refreshing dry hopped golden pale ale with a moderately sweet malt body, balanced with a burst of citrus hoppyness. We hope you enjoy drinking it as much as we enjoy brewing it! Colour/appearance: pours a pale gold colour, with lovely white head. Medium carbonation. Aroma: lots of hops! 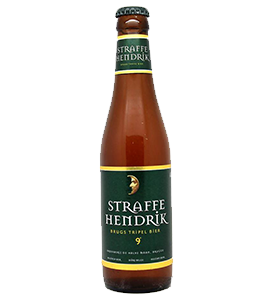 It’s a hop bomb with citrus and floral characters, particularly grapefruit at the fore, with hints of lime, melon and lychees. 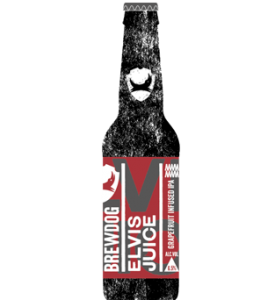 Flavour: hoppy fruit with a biscuity malt body. Aftertaste: rounded bitterness that cleanses the palate with a lingering sweetness from the single malt, preparing the palate for the next sip. 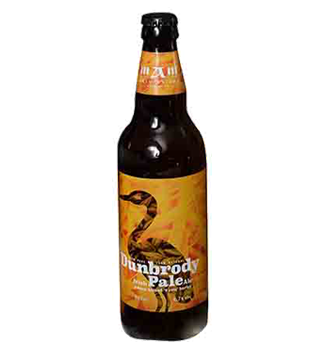 Food pairings: This single malt ale goes with grilled fish, barbecued chicken and prawns. Put that barbecued chicken on a pizza and it’s heaven in a slice. Also good with smoked duck. 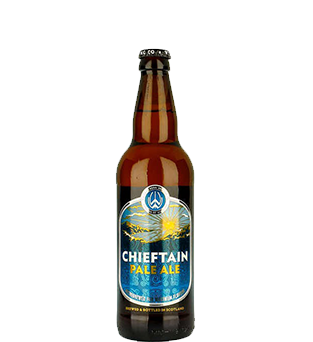 Brewed to honour Diarmund McCarthy Mor, the king of South Munster and founder the site of our brewery, Chieftain IPA puts a taste of his power in your hands. 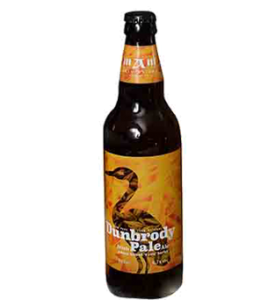 The Origin of "India Pale Ale"
India Pale Ale was the answer to the problem of how to get good ale from Britain to India in the 18th century. 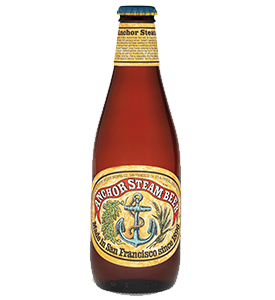 Unlike other beers drank at the time, IPAs were able to survive long voyages into warm climates without souring. 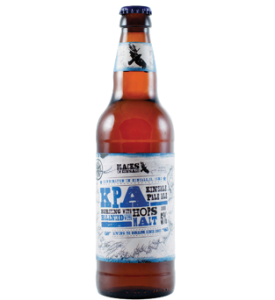 IPA had this long-lasting effect by brewers adding more preservative-enhancing hops and brewing the beer to high alcohol contents. 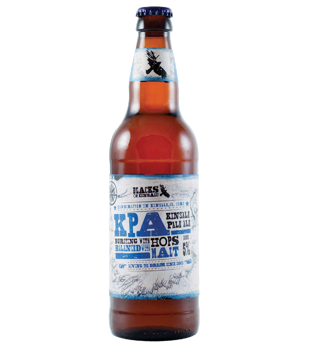 Indian Pale Ale was born out of utility, but has evolved into a style of beer that takes inspiration from the original in modern IPA’s hoppy flavour and generous alcohol content. 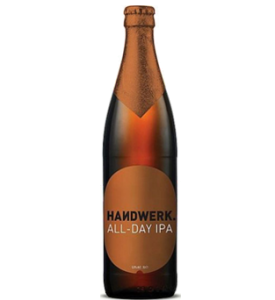 Many modern IPAs have a startling bitterness that discourages the casual drinker- you either love it or you hate it! 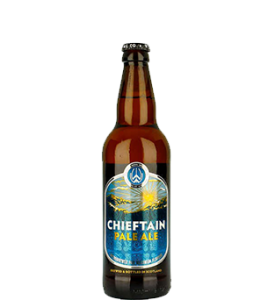 Chieftain IPA has been designed for casual enjoyment. 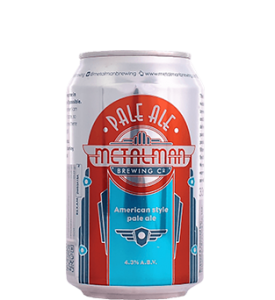 It has a mild and fresh hoppiness and a moderate alcohol content at 5.5% ABV, but still maintains the powerful presence of an Indian Pale Ale. Our Rebel Red is proud to be different. 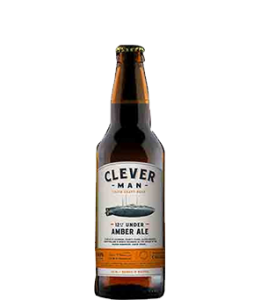 It has been crafted to impart an exceptional Irish taste, creating a more accessible red ale that’s distinctively different. 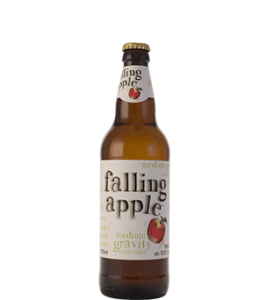 It offers the drinker a pronounced caramel and biscuit finish, together with a balanced hop/malt profile and a full mouthfeel. It is perfect for sharing with friends and pairing with food. 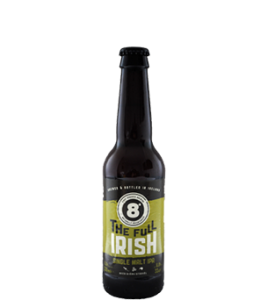 The Rebel is an exceptionally crafted Irish ale that adds colour to any conversation. Launched in 1998 Rebel Red was the top selling Exceptional Irish Red Ale in the market after 4 months in outlet activity delivering a huge sales uplift and winning a Gold Medal at the world beer award for Europe's Best Amber 2013. A true son of Cork, the ‘Rebel County’, Rebel Red is proud to be different, to have its own opinion, its own unique taste. It’s always more interesting when you’re with the Rebel. Rebel Red is the ideal beer to introduce you to the world of Flavour, Character and Quality. 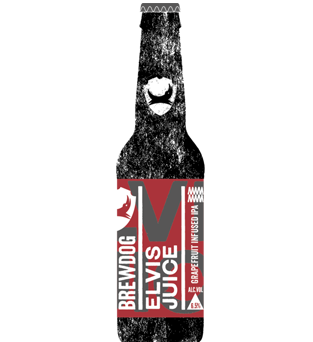 The malty dark flavours from Rebel Red complement big full-bodied flavoured ingredients, whilst the bitterness will cut through anything that has a sweet and savoury fusion, so we enjoy both profiles. Sunshine in a glass! 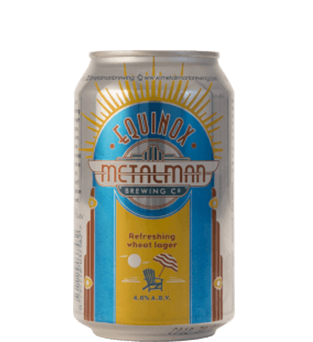 Equinox is a refreshing wheat lager designed with lazy sunny days in mind. Hazy bright yellow, it’s a smooth and refreshing beer with a light dry finish. 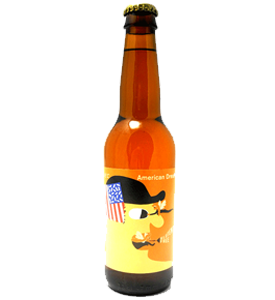 Orange and lemon peel are added to the brew kettle for a burst of citrus, along with some ground coriander to give a hint of spice on the end – tantalizingly quaffable! 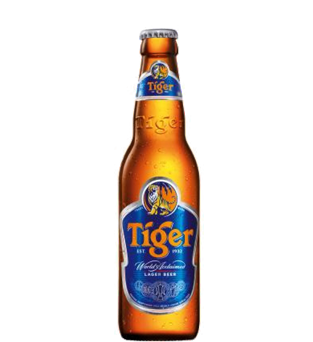 Recommended food pairing : The citrus flavours and bitter finish on this beer means it goes well with robust, full-flavoured dishes such as thai or indian curry, steak with pepper sauce. 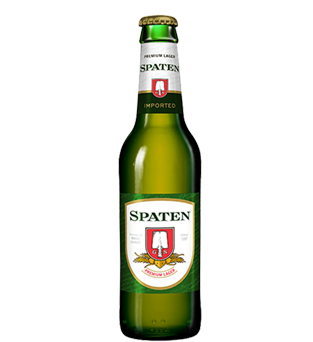 Full-bodied with the rich and rewarding flavours of Vienna and Crystal malts, with the natural aroma of classical hop varieties over a rich malt base. 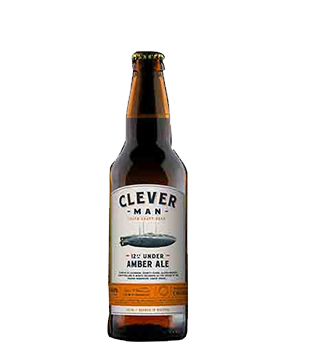 This edition to the "Clever Man" collection is named in honour of John P. Holland, the Irish inventor of the modern submarine! 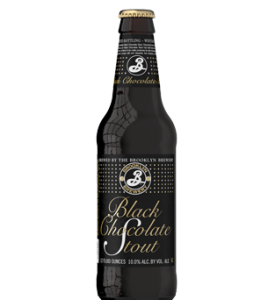 This is the famous Brooklyn Black Chocolate Stout. 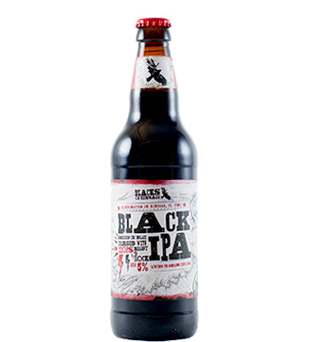 In the 18th century, Catherine the Great, Empress of Russia, ordered a stout to be sent to her from England. 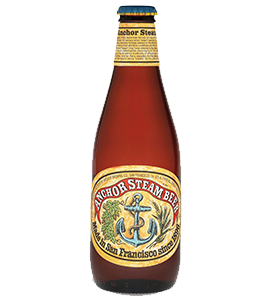 This beer was brewed strong and hoppy to survive the sea voyage, and it arrived in perfect condition. Soon "Russian Imperial Stout" became the toast of the Russian aristocracy. 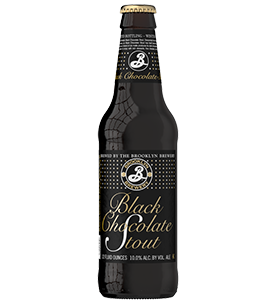 Brewed since 1994, our Black Chocolate Stout has itself become a modern classic, heralded the world over. 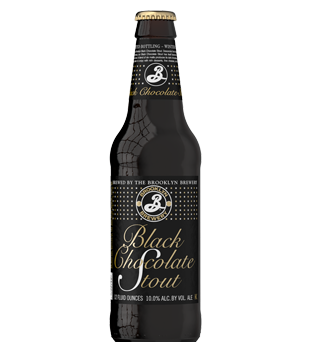 It achieves its dark chocolate aroma and flavor through the artful blending of six malts and months of aging. Properly kept, it will improve in the bottle for many years. 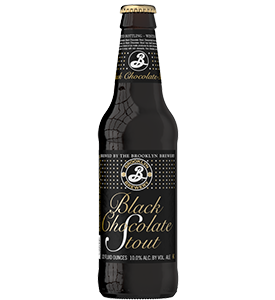 This stout is the toast of the winter season in many countries, and there is nothing better to enjoy with chocolate desserts, cheesecake, ice cream, fine cheeses and roaring fireplaces. Food Pairings: Chocolate desserts, cheesecake, fruit tarts, ice cream, and strong cheeses, such as Stilton. On Thursday 27 April 1916, the Enniscorthy brigade of the Irish Volunteers proclaimed the Republic to the good people of Wexford from the steps of the Athenaeum theatre, and for one week a tricolour flew high over the roofs of Enniscorthy. 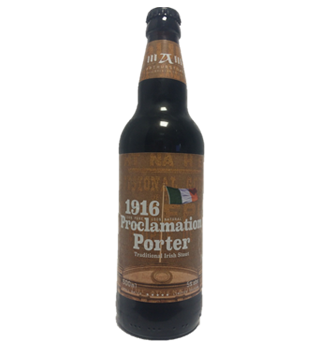 “Ireland through us, summons her children to her flag and strikes for her freedom” To commemorate this important moment in our history, the Arthurstown Brewing Company, co-founded by top chef Kevin Dundon, is launching the 1916 Proclamation Porter. The Proclamation Porter is described by the Arthurstown as “an old-school Irish stout, such as those brave men and women of Wexford would have known, brewed from our own native grains, grown in the very soil they pledged to liberate, with Chocolate and Dark Crystal malts for a velvety finish, with notes of chocolate and coffee.” This is Arthurstown Brewing Company’s fifth beer since first appearing on the market in September 2015 and Brew Master Kieran Bird, along with Kevin Dundon, are constantly developing new and exciting recipes. 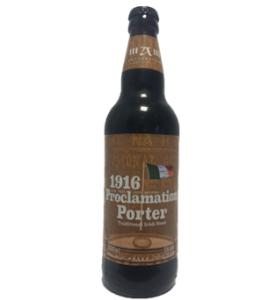 Arthurstown’s Proclamation Porter is now available in SuperValu and Centra nationwide as well as a growing number of independent off licenses and pubs. 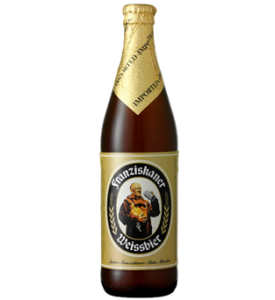 The commemorative beer is available in 500ml bottles and on draught. 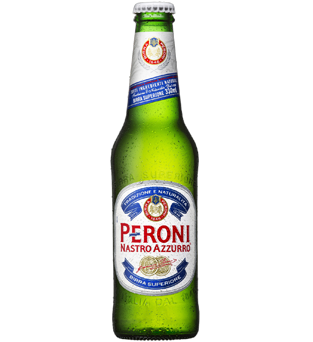 The Peroni company was established under the founding family name in the town of Vigevano, Italy, in 1846. The company was moved to Rome by Giovanni Peroni in 1864, six years prior to Rome becoming the Italian capital in 1870. Throughout the late 19th and early 20th centuries, the company became one of the most prominent brewing companies in the newly unified Italian nation. 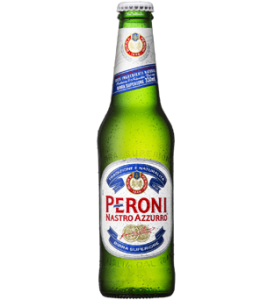 By the 1990s, both the Peroni brand name and product line were distributed and known worldwide. 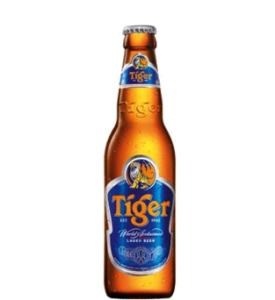 The London-based brewing giant SABMiller bought the company in 2003, making it one of the few international brands in its portfolio. To re-launch the brand in 2005, the company refined itself to match industry trends of the 1980s. 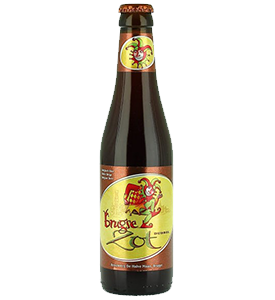 It started with our brewmaster, Keith Villa, wanting to craft a beer inspired by the flavorful Belgian Wits he enjoyed while studying brewing in Belgium. 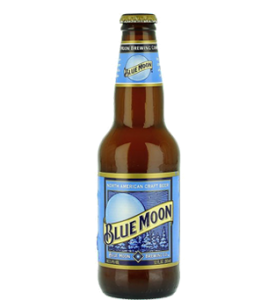 He brewed his interpretation using Valencia orange peel versus the traditional tart Curaçao orange peel, for a subtle sweetness, and added a touch of coriander to provide balance. Then he added oats and wheat to create a smooth, creamy finish that’s inviting to the palate. As a final touch, he garnished the beer with an orange slice to heighten the citrus aroma and taste. 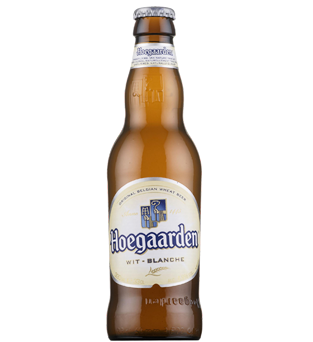 Its natural unfiltered appearance adds to the depth of flavors in Belgian White*. 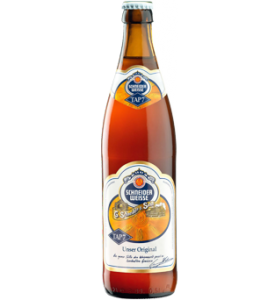 A brewing art for wheat beer geeks: "Mein Original" – this traditional and popular wheat beer has been brewed according to the original recipe of Georg I. Schneider since 1872. 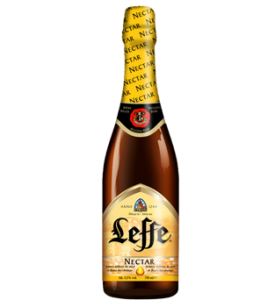 Deep amber, perfectly balanced and powerful. A taste of Bavaria. 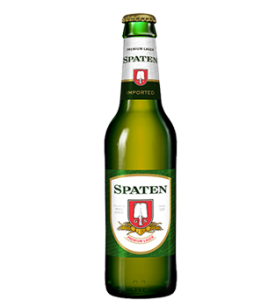 A taste like home – whether at home or socializing at the “Stammtisch”. Clear gold with about one finger of white head that lasts about five minutes. Some splotches of lace left behind as the liquid level drops. Smell is rich malts yeast and noble hops. Taste is a bit hop forward and quite fine for me. Noble hops and smooth biscuity malts. 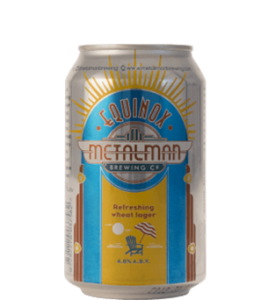 Mouthfeel is light to medium with good carbonation. Finishes lightly dry and bitter. 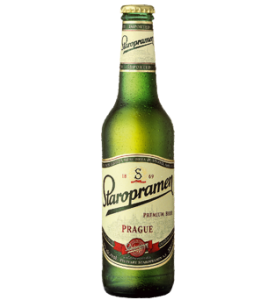 This is what a lager beer should taste like. Appearance: Pale goleden to light amber color. Mild hazy. 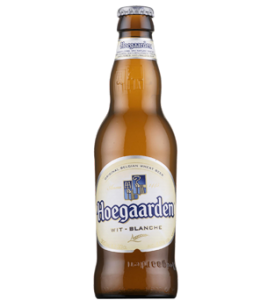 Tall and foamy white head, with good retention and good lacing. Very high carbonation visible. Smell: Yeast, moderate banana aroma. Taste: Wheat, malt, gentle bitterness from hops, banana notes in traces coming through from the background, but without any of the traditional clove or bubblegum flavors. 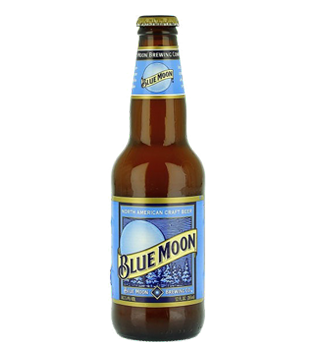 Mouthfeel: Crisp, light-to-medium bodied, well balanced, good carbonation in the mouth. Overall: Refreshing, pleasant and thirst quenching, but not much of a taste. Decent enough, but pretty average for the style. 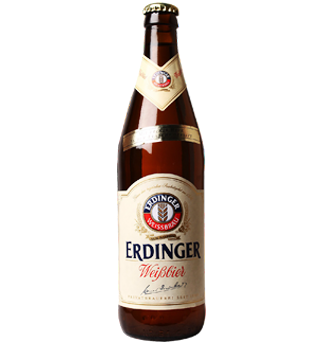 The original fresh wheat beer taste. 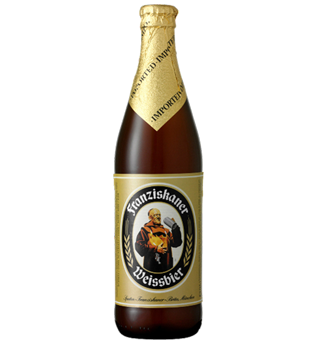 Franziskaner Hefe-Weißbier Naturtrüb is a natural and elegant Weissbier from Bavaria with a lush white foam. 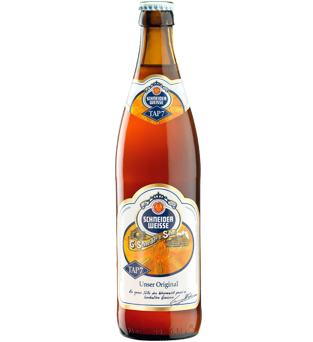 The copper golden wheat beer unfolds with an aromatic fragrance and harmonious banana and citrus fruits. How to Pour Your beer! not messing! Look--Pours a pleasant amber color with a decent head which is quickly gone. Traces of lacing throughout the drink, however. Somewhat disappointing in how clear it is. Ultra-filtered. Smell--Esters/medicinal. Nothing offensive but nothing remarkable. Not terribly complex. Disappointing for an "Abbey" ale. Taste--Initially very very very...sweet. Cloying doesn't cover it. And not in a manner evocative of any particular sweet-flavored thing--just sweet-flavored beer. There is not enough carbonation or of anything else to balance the sweetness. 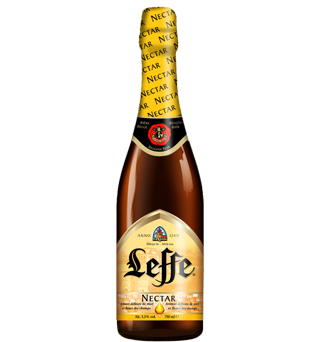 I've had beers that have this much sweetness on part of the palate, but they've usually had something else they bring to the party. It isn't undrinkable--it's actually pretty smooth. As the beer warms, things even out slightly--so I would recommend drinking this one closer to room temp. Feel--Smooth and creamy. The carbonation is initially there, but it doesn't have enough staying power in that regard. ASIA IS A REGION ON FIRE, HOME TO THE WORLD'S BEST INNOVATORS AND ENTREPRENEURS. THIS IS TIGER'S PLAYGROUND. BORN IN SINGAPORE AND MADE FOR THE HEAT OF THE STREETS. OUR GOAL: TO INSPIRE COURAGE BECAUSE EVERY MAN HAS A TIGER INSIDE.